Before you start you will need to get a license to fish. The easiest way to do this is to get a ‘Carte Blanche’ at a local tabac or fishing shop. This is a holiday license and allows you to fish like a local who has a fishing identity card and an annual license. The vacation fishing license lasts 7 days and costs ~30 € (less for under 18 and under 12). 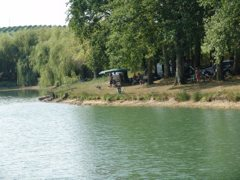 You can then fish on all of the public waterways in the Dordogne as long as there are no signed local fishing restrictions in place. Generally you are not allowed to keep fish smaller than 25 cm long and you cannot take home more than 6 fish a day. Lake fishing is also available but many of the lakes are stocked and run privately and so you may incur an additional fee to fish there. You do not generally need a fishing license to fish on a private lake where a fee is paid to the lake owners. Other fishing licenses are available but they would not be as cost effective unless you intended to fish for longer than 2 weeks or wished to return again within a year to the Dordogne region. Périgord, with the rivers Dordogne, Vézère, Dropt and its many lakes, has a strong fishing potential. The department of Dordogne offers 1,800km of 1st. category rivers, 2,200km of 2nd. category rivers and 10,000 hectares of smooth expanse of water. For the fisherman it is a true paradise. If you are either a sportive, or a meditative fisher, or an aficionado of fly-fishing or a simple lover of blob-fishing... you will find fishing locations which associate calmness to the beauty of the sites. Please note that fishing seasons change slightly every year. You can fish from half an hour before to sunrise to half an hour after sunset. In practical terms, for most of June, July, August and September it will be best to fish from the late afternoon onwards. Grayling: The grayling season is from 13th March to 21st November inclusive. Pike: The Pike season is from the 3rd Saturday in April to the last Sunday in January. Pike under 50cms are to be returned to the river. Salmon: Salmon fishing is not allowed on the Dordogne. Shad: From mid May to Mid June. 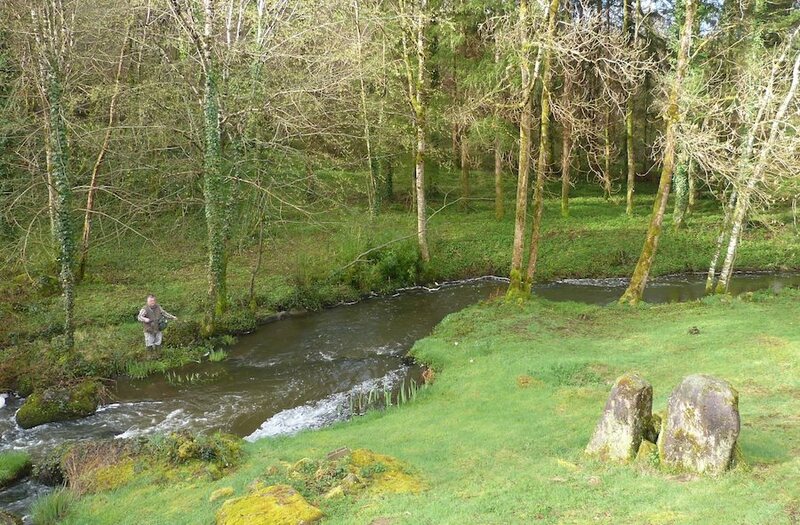 Trout: The season opens on the 2nd Saturday of March and closes on the 3rd Sunday of September. Fish under 25 cms must be returned to the water alive. You have the right to take 6 fish per person per day but fish stocks of the wild fish are unsustainable at this level so a policy of no kill is encouraged and appreciated. Zander: The season is from the 2nd Saturday in May to the 3rd Saturday in January.